HACO Translation Center is the pioneer in translation services. With many years of professional experience and good results of big projects, we have enough self-confidence to be in charge of Portuguese – ensuring perfect results suitable with your style, completing quickly and serving thoughtfully, matching with our strategy “Happiness when you come, satisfaction when you leave”. Portugal or the Portuguese Republic (Portuguese: República Portuguesa) is a country in Southwest Europe in the Iberian Peninsula. It is located in the west pole of the Europe Continent. It borders on the Atlantic Ocean in the west and in the south and Spain in the east and in the north. The Açores and Madeira archipelagos in the Atlantic Ocean also belong to Portugal. Man appeared in Portugal in the Prehistoric age. Ancient ethnic groups such as Gallaeci, Lusitania, Celt, Cynete, Phoenicia, Carthage, Ancient Roman, and many German ethnic groups such as Suevi, Buri, and Visigoth had a more or less impact on the history of Portugal. At that time, Portugal merged to the Roman Empire and was known as Lusitania Province. The Roman culture bequeathed hallmarks, especially linguistic hallmarks: the Portuguese language was originated from the Latin language of Roman people. In the 5th century, after the Roman Empire collapsed, clans from Germany invaded. At the beginning of the 8th century, Moor people embracing Islam from North Africa began to conquer Lusitania, occupied most of the Iberian Peninsula, and unified the small kingdoms. In the next centuries, the Christians tried to expel Muslims in the “Re-conquest”. The County of Portugal was established and part of the Kingdom of Galicia. 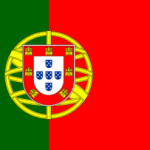 Because the kingdom was established, recognized in 1143 and had stable borders in 1249, Portugal recognizes itself as the oldest country in Europe. 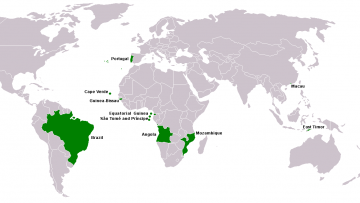 Text Box: In the 15th and 16th centuries, due to maritime exploration, Portugal established a global empire including colonies in Africa, Asia and South America and became one of the strongest countries in aspects of economy, politics and military. In 1580, Portugal entered into alliance with Spain to form the Iberia Alliance. However, in 1640, Portugal consolidated its sovereignty and independence in the Portuguese Restoration War. In 1755, there was an earthquake in Lisbon, Portugal was invaded by Spain and France, and lost the largest colony – Brazil; therefore, there was political and economic instability as well as global power during the 19th century. 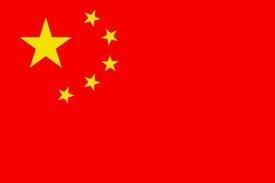 In 1910, the monarchic system collapsed, the republican regime was established and then the dictatorial regime. With the Portuguese Colonial War and the Carnation Revolution in 1974, the dictatorial regime collapsed in Lisbon and Portugal returned the foreign provinces (most in Angola and Mozambique); the last foreign territory, Macau, was returned to China in 1999. Portugal is a developed country and the living standard is ranked 19th in the world (according to the Economist Intelligence Unit). It is the 14th most peaceful country and the 13th most globalized country in the world. It is a member of the European Union and the United Nations, and a founding member of the Latin Union, the Organization of Latin American Countries, OECD, NATO, the Community of Portuguese Language Countries, the Euro Currency Area, and the Schengen Area. As a Roman language, Portuguese is mainly used in Angola, Brazil, Cabo Verde, East Timor, Guiné-Bissau, Equatorial Guinea, Mozambique, Portugal, São Tomé and Príncipe, Macau in China, and some old colonies of Portugal in India. With more than 200 million native people, Portuguese is the most commonly used in South America and is an important language in Africa. According to statistical data from UNESCO, Portuguese and Spanish are European languages developing the most rapidly after English and Portuguese can develop the most rapidly as an international language in South Africa and South America. The total number of users in Portuguese speaking African countries is estimated as 83 million in 2050. 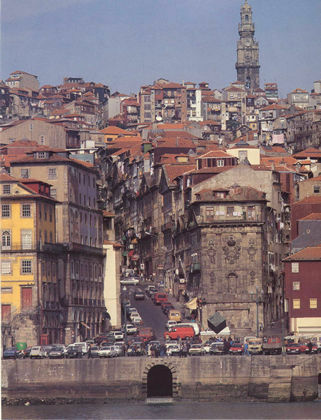 The total number of Portuguese speaking people in countries at that time is about 335 million. On 3rd July, in Hanoi, the Vietnam Chamber of Commerce and Industry (VCCI) held the “Meeting between Vietnamese and Portuguese enterprises” to exchange information, seek partners, survey the market, and strengthen economic cooperation between Vietnam and Portugal. For getting the best service.